I think it’s safe to say that Walt’s dedication speech of Fantasyland was, dare I say, perfect. Personally, I’d like to believe that he dedicated Fantasyland to me because after all, I fit the criteria: I’m young and young at heart, and I believe that when I wish upon a star, my dreams come true. So yes, I’m truly honored and blessed that the one and only Walt Disney dedicated Fantasyland to me. In all seriousness, I do love Fantasyland maybe a little more than the average person. Fantasyland is the place in Disneyland where it’s socially acceptable for a legal adult (aka moi), to act like a kid again. So, without further ado, here’s my perfect day in Fantasyland. Because there is no place to eat breakfast in Fantasyland, eat a quick breakfast at your hotel before venturing to Disneyland, or enjoy breakfast at Jolly Holiday on Main Street (that place never disappoints). Then, travel to Neverland with Wendy, John, and Michael on Peter Pan’s Flight. After visiting Neverland, take a spin on Mr. Toad’s Wild Ride, followed by visiting Gepppetto and Jiminey Cricket on Pinocchio’s Daring Journey. Before riding Snow White’s Scary Adventure, glance up to the window above the attraction and watch for the Evil Queen to make an appearance. While in line, place your hand over the gold apple on the left side of the queue and listen for a surprise from the Evil Queen. 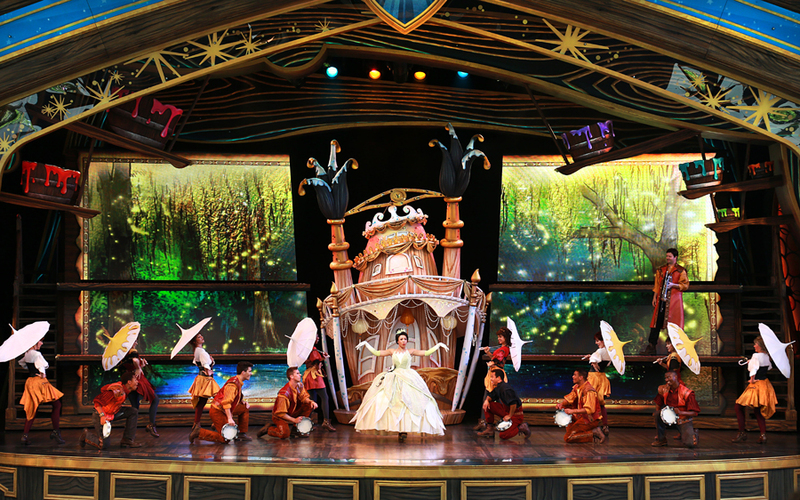 After seeing that Prince Charming and Snow White lived happily ever after, meander to the newly added Fantasy Faire and enjoy watching live reenactments of either Beauty and the Beast or Tangled at the Royal Theatre. While you’re in Fantasy Faire, take the time to meet some of your favorite Disney princesses in the Royal Hall. Then, board Casey Jr. Circus Train and wave to the guests below riding Storybook Land Canal Boats (look out for the old Skyway to Tomorrowland chalet on the left side of the Casey Jr. queue). Take a quick spin on the teacups (supposedly, the purple teacups are the fastest) and meander through the Mad Hatter’s Hat shop and pick out a hat that suits you. Head to the Fantasyland theater twenty minutes before show-time and get either bacon stuffed potato or Bratwurst from Troubadour Tavern. Enjoy your lunch while watching Mickey and the Magical Map, a twenty-minute show that brings songs such as “Under the Sea”, Hawaiian Roller Coaster Ride”, and “Reflection” to life with your favorite Disney characters. After lunch, take a relaxing boat ride on It’s a Small World and allow the children from around the world to lull you asleep for a quick nap. If you’re one of the strong souls who stays awake and alert during the ride, try to see how many Disney characters you can spot in the attraction (Disneyland’s Small World is the only Small World with Disney characters placed in their country of origin). Make your way to Alice in Wonderland and take a journey with the White Rabbit through Wonderland. Enjoy the new animation technology on the attraction; it’s one of the most innovative and technologically advanced dark rides in Disneyland since its refurb a couple years ago. After your adventures through Wonderland, swing by Maurice’s Treats for a quick snack (I’ve heard that the Boysen Apple freeze and the cheddar garlic basil twist are to-die-for) before hunting down some Disney characters. 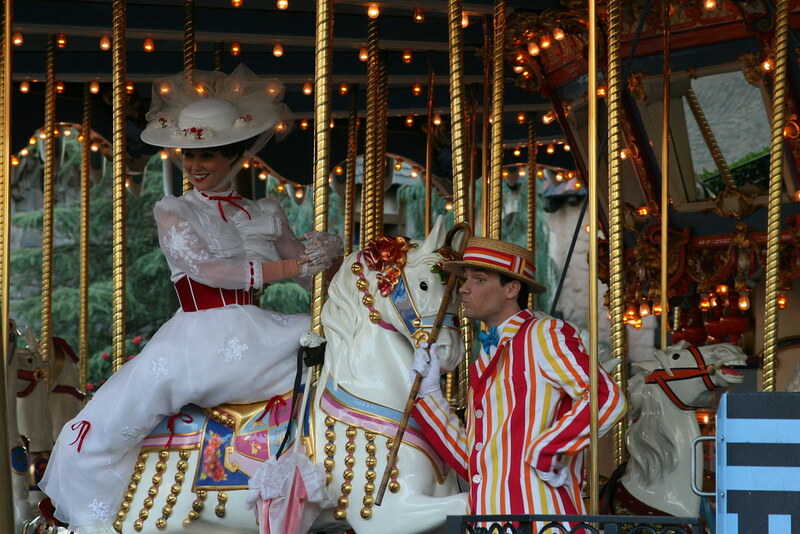 The Mad Hatter and Alice like to mingle around the Tea Cups and Alice in Wonderland attractions (how ironic), and the Evil Queen and the Fairy God Mother are normally around the wishing well. Captain Hook and Smee are harder to find, but there’s a chance that you might find them with the Evil Queen. It’s nearly impossible to find Peter Pan (he likes to move around a lot), but if you do find him, take my word for it, the Disneyland gods had your back that day. Feel free to put on your resume that you found the one and only Peter Pan in Disneyland, it’s quite an accomplishment. If you’re coming up dry on your character hunt, head to Pixie Hollow where you’re guaranteed to run into Tinkerbell and some of her fairy friends. Take a spin on King Arthur’s Carousel and maybe even ride atop Jingles (Julie Andrews signed the horse, so it’s pretty magical). If it’s magic hour, take the opportunity to ask your family members to snap some stunning pictures of you while riding the colorful attraction. Eat an early dinner at the Village Haus and enjoy from selections like the angus pastrami cheeseburger, apple and cheddar salad, or BLT flatbread. For those who are brave enough, take a flight high in the sky on Dumbo the Flying Elephant after eating. Take in the beautiful view of Fantasyland and Sleeping Beauty’s Castle as the last glimmers of sunlight descend for the day. After Dumbo, take an adventurous ride through the Matterhorn (say hi to Harold the yeti for me while you’re at it). 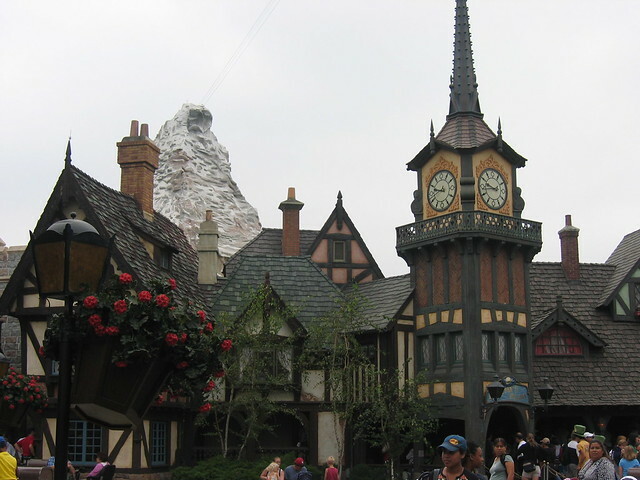 A lot of people give the Matterhorn a bad rep because it’s a pretty jerky ride. When it opened in 1959, it was the first steal tubular track thrill ride ever. It was way ahead of its time, and although it may not be revolutionary today, it still deserves more credit than it gets. Interestingly enough, the Matterhorn in Disneyland is the only Matterhorn in the world as there are no other duplicates in any of the other Disney parks around the world. By now, it should be completely dark outside, so take a trip on the Storybook Land Canal Boats (I use to call this ride The Whale’s Mouth because in the ride you journey through Monstro the whale’s mouth; I was a pretty creative kid). Take in the sights of the miniature castles and kingdoms and savor the moment of motoring through the arches while A Whole New World plays in the background (that’s my favorite part of the ride, if you couldn’t tell). End the day by watching the Main Street Electrical Parade (the parade will be back January 2017!). 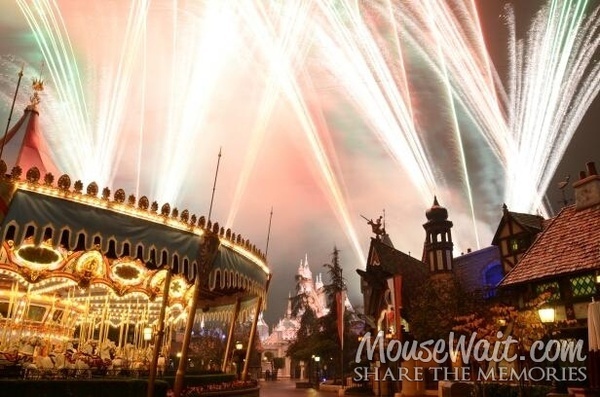 After the parade, stay for the fireworks; it will be less crowded in Fantasyland than it is on Main Street, and you will still have a spectacular view, and a spectacular end to your perfect day in Fantasyland.